The missing guide for boring hand phone users! Get All The Support And Guidance You Need To Be A Success At Using Your Smartphone! Do you need a smartphone? To answer this question, we should know why these phones are called smartphones. Smartphones are different from traditional phones in the features they offer. 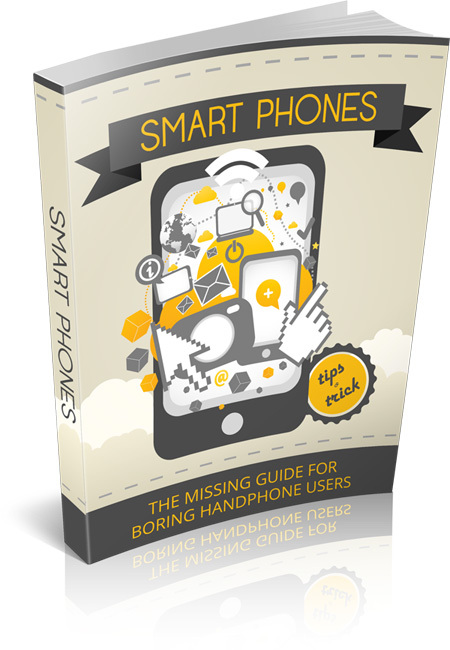 The missing guide for boring hand phone users! Get All The Support And Guidance You Need To Be A Success At Using Your Smartphone! Do you need a smartphone? To answer this question, we should know why these phones are called smartphones. Smartphones are different from traditional phones in the features they offer. You no longer have to carry your laptop or sit the entire day in front of your desktop computer to perform all the tasks that you need to do. Smartphones enable us to do a lot of things with it, which is why they are called smartphones. Smartphones are smart because of the operating systems they carry. Smartphones can therefore do things more quickly than their standard mobile phone and PDA precursors. Do you need a smartphone? To answer this question, we should know why these phones are called smartphones. Smartphones are different from traditional phones in the features they offer. You no longer have to carry your laptop or sit the entire day in front of your desktop computer to perform all the tasks that you need to do. Get all the info you need here. Do you need a smartphone? How to compare different types of smartphones.